If you are in stock exchange business, you would have been thinking to use your mobile device for keeping tabs on stocks even when you are on go. Well, it’s possible now and, a lot of stock exchange traders are coming with mobile apps to aid their customers exchanging stocks online without the needs of a desktop or laptop. A custom app designed for the stock market can a do a variety of tasks. As mentioned, there are a number of tasks a stock trader need to do. The most important of them is buying-selling or exchanging of stocks. Apart from this, the app can help users to add stocks to their stock-positions too. A custom app can be created with environment helping users in processing every stock symbol pricing and historical charts. The app can let users do stock-pick and then proceed to purchase using the desired broker. An app is a better option for those who want do stock trading but stay away from it as they do not know the behavior of the stock market. 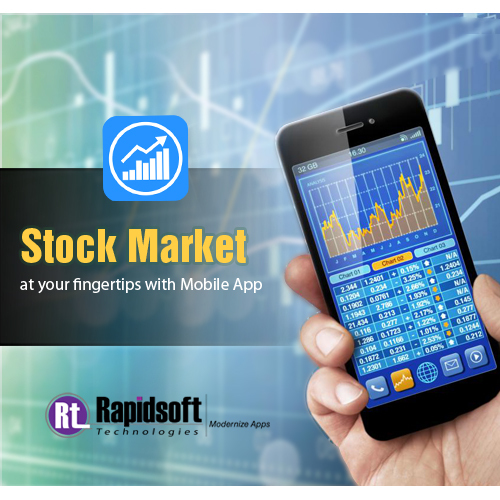 Here an app proves to be a reliable tool for those who do not fully understand the nature of the stock market and to avoid the occurrence of losses caused by not having good experience of the stock market. An intelligent can guide users through a step-by-step process to take right approach while trading shocks. As far as safety is concerned, the modern mobile technologies have turned quite secured when it comes to money-related transactions. Both iPhone and Android are the powerful platforms for the implementation of a safe and secured stock exchange app.